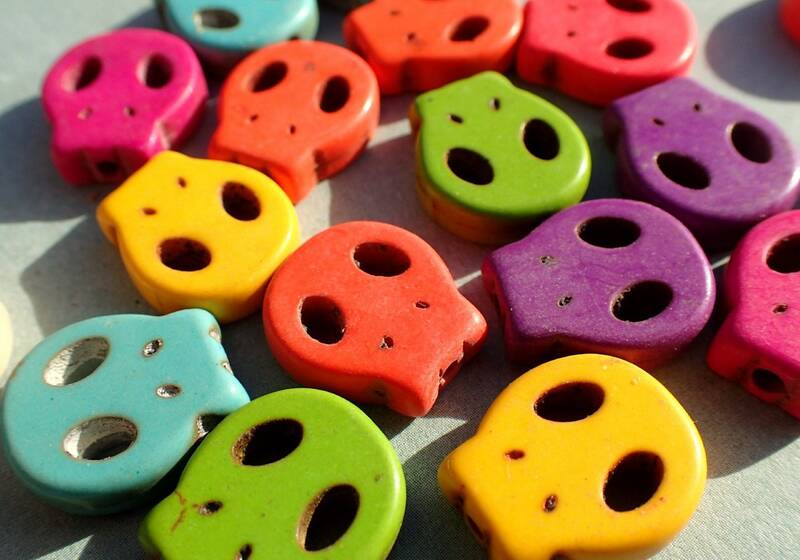 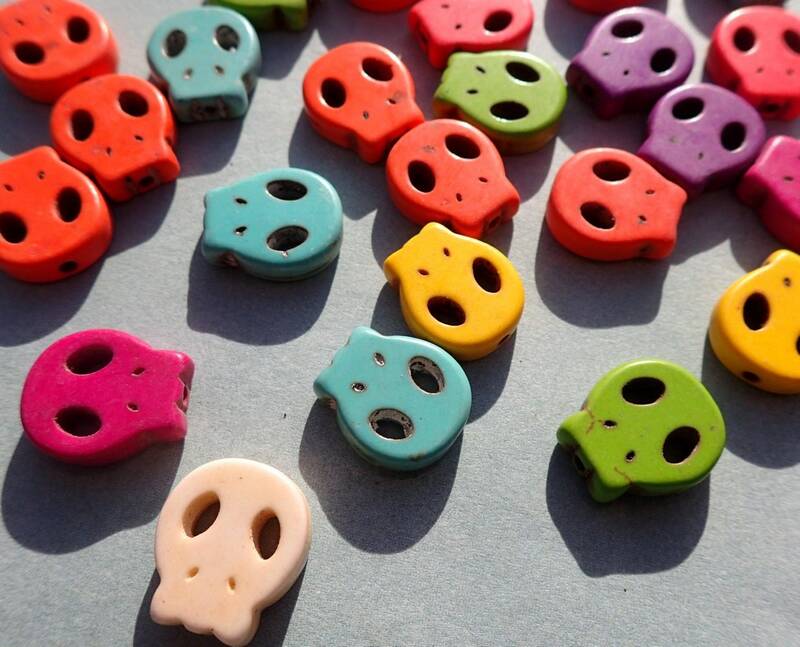 This is a set of 10 beads that are in the shapes of skulls. 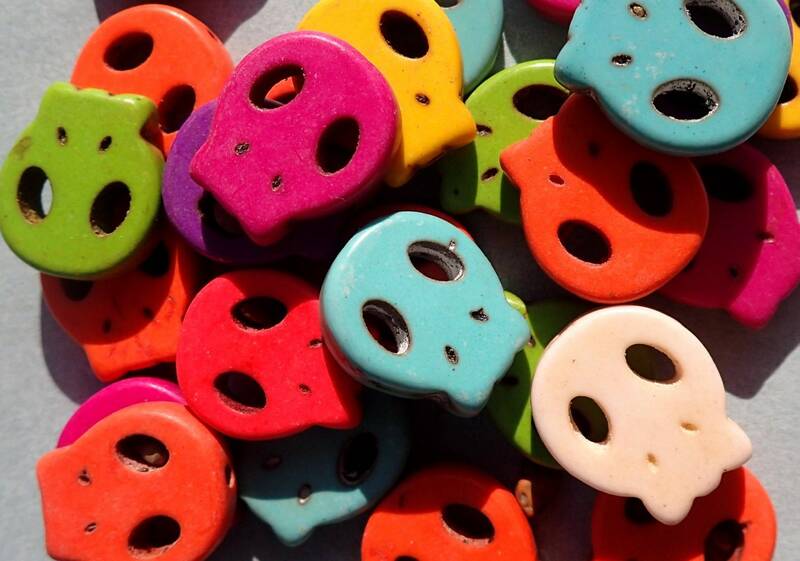 They are dyed in bright, assorted colors. 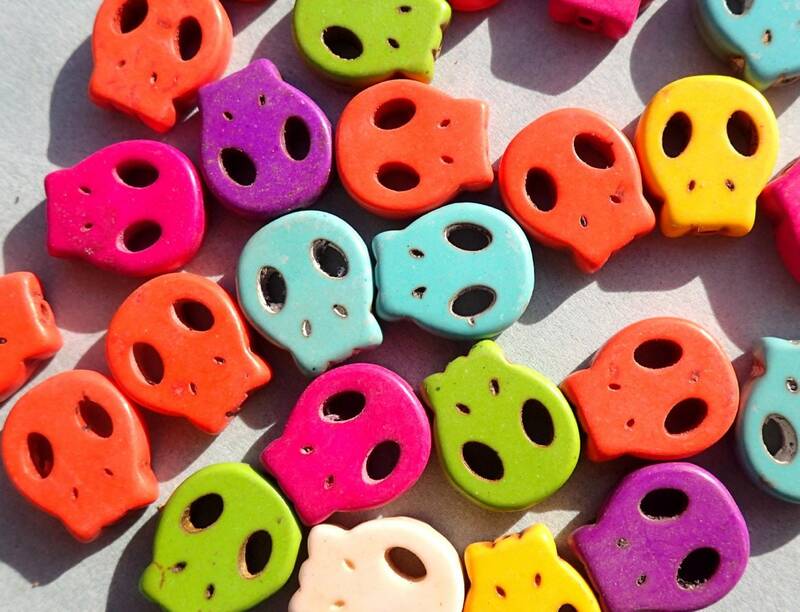 Great for making sugar skull mosaics for the Day of the Dead, or a fun addition to your Halloween project. 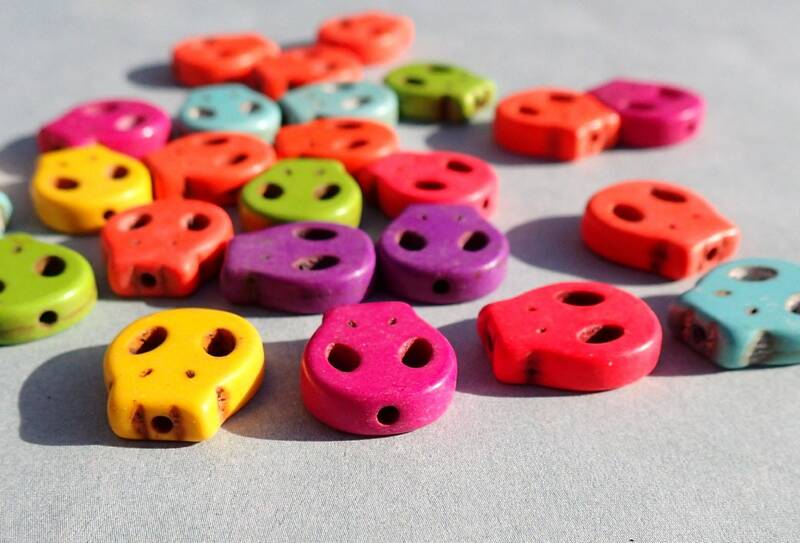 These beads are 13mmx15mm. 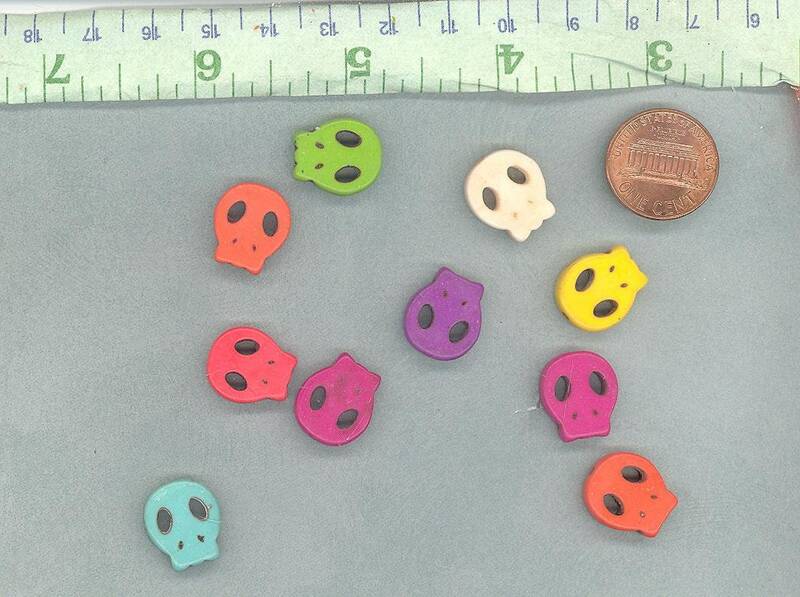 They are approximately 4mm thick.